Hello my creative souls! Im so happy you have decided to slow down with the shopping madness and add a bit of a personal touch to your pressies this year. 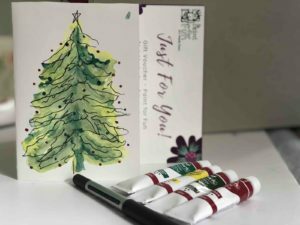 In this video, I will give you a full one hour class to follow, step by step, of how to create 5 beautiful watercolour Christmas cards. You can make as many as you want and expend on that knowledge to bigger scales or different types- let your imagination go WILD. As always, in Paint for Fun’s classes there are NO and DON’T! We encourage creativity and self expression so please experiment. The only way to learn is to try, just like children do. Grab a glass of wine/tea/coffee, have some girlfriends or your parter joining you and make a day/night out of this. It’s so great to share this experience with others for mutual ideas, inspiration and feedback. Ok, so here is what you need to have for this class, brands aren’t important but don’t you dare compromise the quality papers and paints! It’s super important if you want to get the best results! I’m ready, are you?! Feel free to pause, freeze and stop whenever. Don’t forget to let it dry between layers so just follow my lead and you’ll be fine! 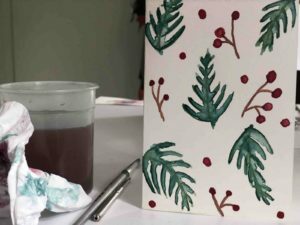 Please share your results with me, it’s a great way to encourage me to make more of this videos if I know you actually follow and paint! 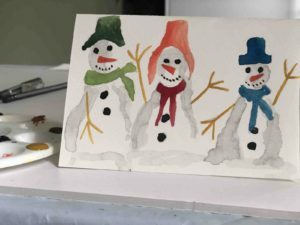 share this around in Social Media and #paint4funmelb so more people can enjoy this video! Happy Christmas and I’ll see you in much more Paint for Fun in 2019! 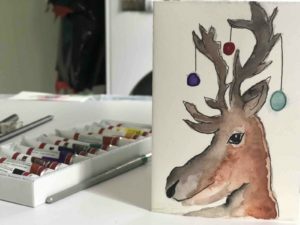 Check out our Calendar for more Watercolour and Acrylic events, book one to get a personal in-class guide from our art instructors.